Kebi, Serge, Musa, and Hector come from different parts of the world, but they have one thing in common: they have all been tortured in their home countries. Contrary to their expectations, they survived the torture and they now all live in Finland. Life goes on, but with certain limitations. The torture has had a severe impact on them. It has affected their minds, self-esteem and sleep. And the rise of an anti-immigration atmosphere in Finland does not help the situation. 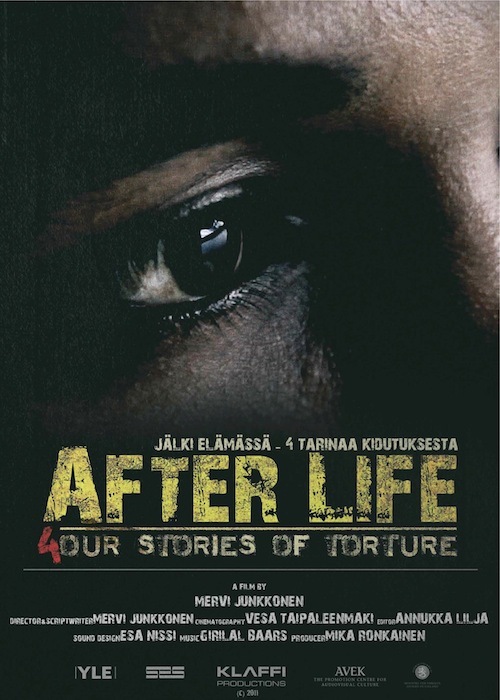 In the film, the stories of the four men are interwoven into a common experience of what it is like to try to live on after being tortured.